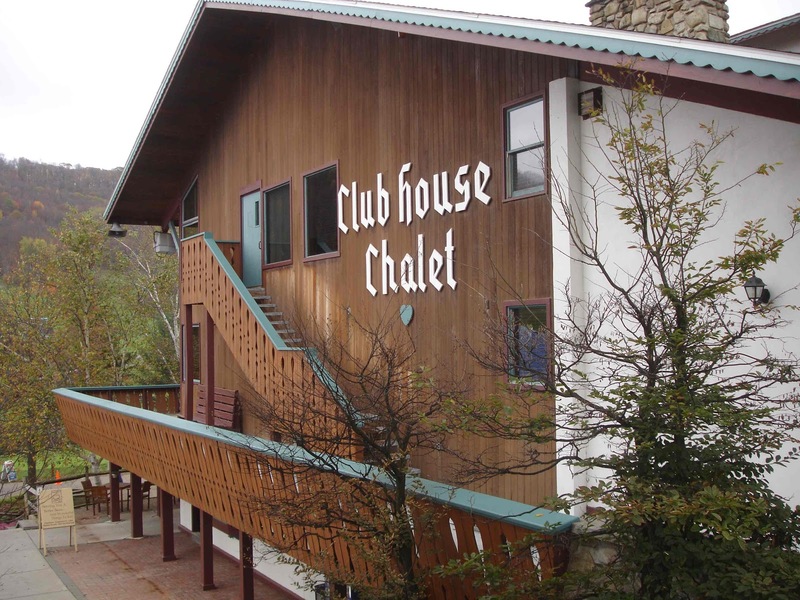 Holiday Valley Resort is on a quest for conitnous improvement and has demolished the old Clubhouse Chalet where your ski trips have started since 1962. Desite the six expansions over the years, it was time for the resort to build a new lodge with more efficient year round facilities for skiers, golfers, vacationers, conferences, events and more. The result is $12 million , 66,000 square foot building that screams the great outdoors. The new building is what you expect to see at a world class resort, with 32 foot high cathedral ceilings, tongue and groove cedar decking, massive wooden beams, 2 story stone chimney with fireplaces on both floors and a great lodge feel on the extrior with natural stone and cedar. 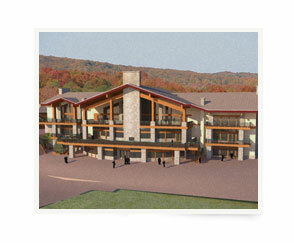 According to Holiday Valley Resort, the special features of the new Lodge will please guests throught the year. The overall lodge has improved views of the slopes, private party rooms, large capacity conference rooms, and expanded food service area, and expanded exterior deck, an McCarty Cafe, the Overloot Terrace and a Day Care center. The new food service area has a brick pizza oven and increased seating. The second story bar has an awesome 180 degree panoramic view of the slopes through the floor to ceiling windows. The private party rooms are available to groups to rent, while the large capacity conference rooms are available on a year ‘round basis for your conferences and executive retreats. The layout of the new McCarty Café is designed for improve customer service, while keeping its cozy, intimate feeling. The popular exterior decks are expanded and the Overlook Terrace replaced the existing Day Care Center and can be used for year ‘round outdoor events. 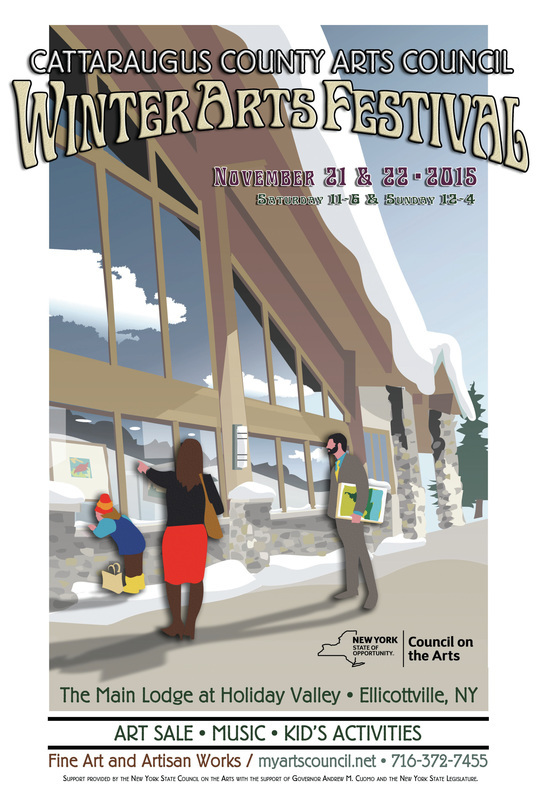 The Day Care is inside the new Lodge, for convenient drop off and pick up of your kids. The seasonal locker rooms, the High Performance shop and Rental shop are expanded and are more centrally located and have greater slope access. 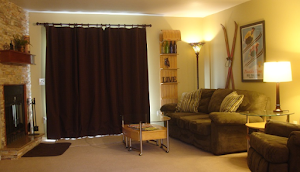 (Click link to see project photos on Holiday Valley's Website). Based on the plans layed out by Holiday Valley Resort, this should be one cool lodge that is updated look and feel similar to other world class resorts. 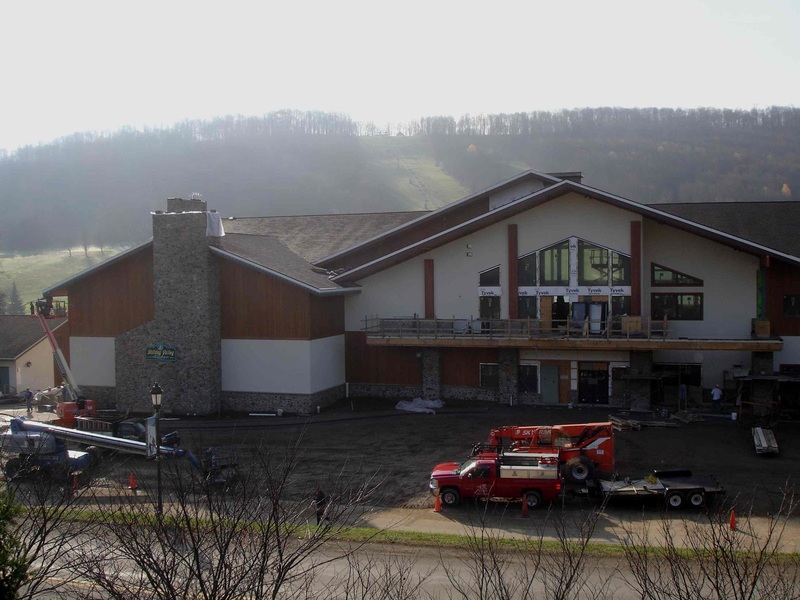 The new Holiday Valley Lodge continues a 19 year run of resort improvments that ranges from new lifts, lodges, trails, equipment and properties. 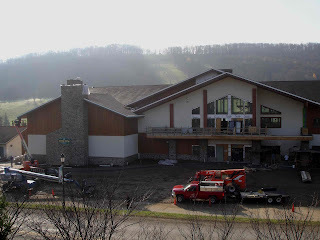 The lodge is a great renovation to the resort and is still central to the Resort Services Center, Holiday Valley pool complex and the Mountain Shop/Golf Shop. Holiday Valley Resort continues to prove why it is ranked in the top ten ski resort towns in the East , according to Ski magazine. You will be sure to create as many new memories, stories and getaways at the new lodge that the old Clubhouse Chalet did for the past 50 years of guests.